The long and convoluted history of allegations of election rigging and EVM tampering deflect from the solutions that VVPATs offer. As the political parties, the electorate and the Election Commission of India (EC) gear up for the largest elections in history, it is hardly surprising that the controversy surrounding the Electronic Voting Machines (EVMs) and Voter Verifiable Paper Audit Trails (VVPATs) refuses to die down. The claims about rigging of machines have a well-documented history. Every political party has questioned the EVMs at one point or another. However, when they come to power through the same machines, all doubts instantly vanish. In 2011, the EC got a rare opportunity to test the relative strength of EVMs and ballot papers in the same elections – during the by-polls to 12 seats of the Andhra Pradesh assembly, which had fallen vacant due to mass resignations in the wake of Telangana agitation. The commission had to conduct polls in half the constituencies with ballot papers where Chandrababu Naidu ensured that the number of candidates in the fray was more than 64 – the maximum the EVMs could handle at the time. The results from the EVMs came out in four hours, as opposed to paper ballots taking over 40. In EVM-conducted polls, there were no invalid votes either. The results from both the systems were exactly the same. What did the political parties achieve with all the fuss then? This debate, in fact, should have ended in 2010 when the EC called an all-party meeting which recommended the adoption of VVPATs as the final solution. The suggestion was promptly accepted. The two factories which manufacture EVMs were asked to develop VVPATs as well. An independent committee of professors of five different IITs was requested to monitor every aspect of the process. After a series of trials, two full-day election simulations were held in five cities with varying climates – Thiruvananthapuram, Delhi, Leh, Jaisalmer and Cherrapunji in July 2011 and again in the same month in 2012. After the VVPATs passed all the rigorous tests of technology and climatic endurance, they were successfully deployed in 20,000 booths. As manufacturing progressed, all constituencies were equipped with VVPATs. 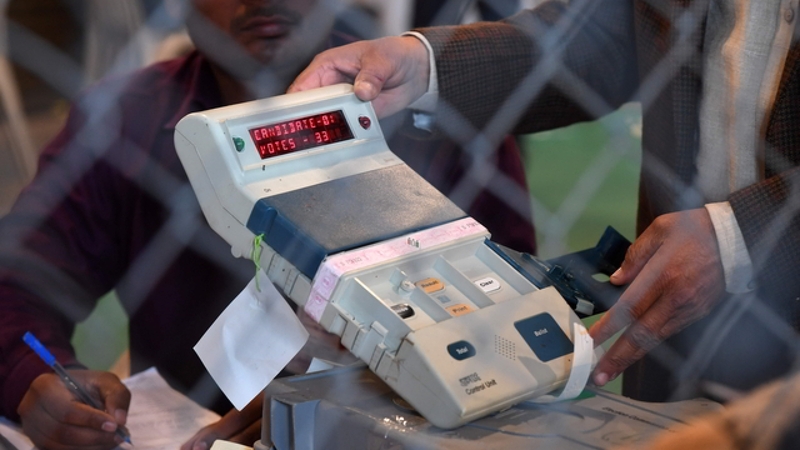 In 2013, the Supreme Court lauded the ECI’s decision and the steps taken, and directed the government to release adequate funds so that these machines could be procured for use in all the booths in the 2019 elections. The machines that were coming in, were randomly deployed. Since 2017, all assembly elections have been conducted with VVPATs attached to the EVMs. As per the existing policy of the EC, slips generated by one VVPAT in each assembly constituency have been counted. Of the 1,500 machines thus counted, not a single mismatch has been detected. The Commission also conducted a comprehensive performance review of the machines, which showed that while the aggregate malfunction rate for the EVMs was 5%, it was around 11% for the VVPATs. This has an easy explanation. The EVMs are like calculators which are solid-state devices with long trouble-free performances. On the other hand, VVPATs are analogous to printers which are electro-mechanical devices having moving parts and encounter issues such as frequent jamming, drying of ink etc. Now the only pending issue is how many VVPATS must be counted to cross-check the results. Presently, the Election Commission has ordered the counting of just one machine per assembly constituency. Opposition parties have recently demanded that half of the total slips should be tallied. As many as 23 Opposition parties have moved the SC demanding the same. A group of 73 retired bureaucrats and diplomats have also written to the Commission demanding an appropriate audit of votes cast in the upcoming election. The letter claimed that “the real issue today is not about EVMs vs. paper ballots, rather it is about EVMs with perfunctory VVPAT audits vs. EVMs with proper VVPAT audit”. The letter goes on to highlight the need for a statistically correct sample “with 99.9% reliability, in a suitably defined population”. The earlier Chief Election Commissioner (CEC) Rawat had said that EC has sought the advice of the Indian Statistical Institute, Kolkata. Many months have elapsed since, but nothing is known about their advice. 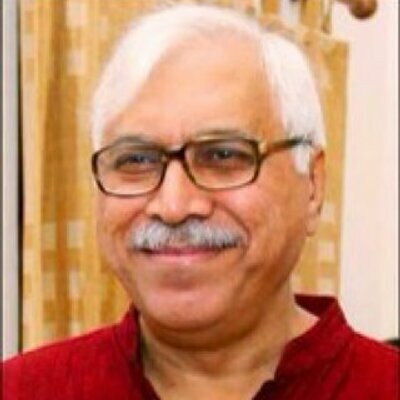 The CEC Sunil Arora, while announcing the elections, stated that they had formed a committee of experts to recommend the sample size that would ensure 99.99% public satisfaction. Nothing could be more reasonable. But it’s baffling how long it is taking for experts to give their advice on an issue that is clearly not very demanding. As this piece was being written, the committee mentioned above has submitted its report to the commission and its recommendations will be examined soon. ECI must adopt the recommendations without further delay to nip the controversy and restore public confidence. The counting of one machine per assembly constituency is inadequate. Perhaps a 5% random check of VVPAT slips could be held to resolve the issue. I, however, would like to venture a more nuanced, alternative suggestion. Let the top two runners up choose any two VVPATs each that they would like to be counted. This is analogous to the game of cricket in which two referrals are allowed for each team. Ever since the introduction of this system called Decision Review System, the violent controversies about the umpire’s decisions have disappeared. This could do away with a large random sample being demanded. Just four machines per assembly would be a small, but reasonable number, to remove any doubts and ensure the public’s faith in the system. Public faith in democracy is paramount. EVMs, equipped with VVPATs, are the real wonder machines of Indian democracy. The Commission must clinch the debate without further delay. S.Y. Quraishi is a former Chief Election Commissioner of India and the author of An Undocumented Wonder – the Making of the Great Indian Election.